A little less complex than cask 1523, but wonderful too. 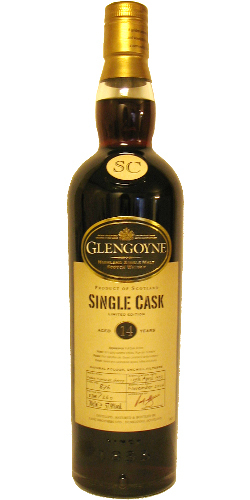 Another very powerful Glengoyne with the Kavalany side. Soy sauce, balsamico, molasses, dried plums. There is also a dirty side to it one rubber and engine oil. Not unpleasant, though. Tar, demerara sugar, molasses, liquorice, soy sauce. Heavy, sweet, in your face notes. Excellent. Long, bitter, on espresso and tannins.